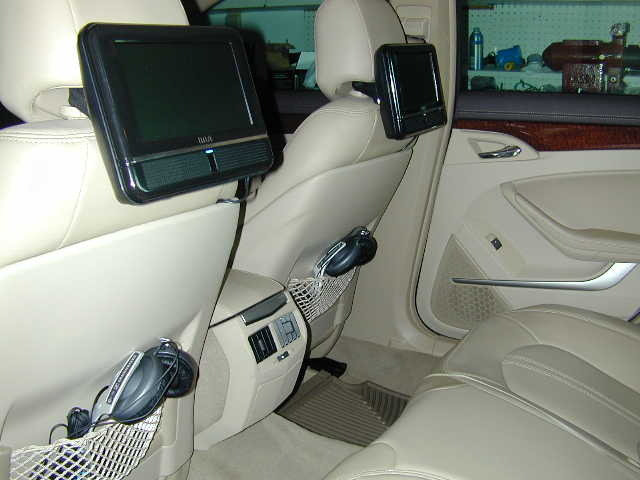 When I purchased my 2009 CTS I got a price of $1900.00 to have headrest 7 inch DVD's. I thought this price was too high so I turned it down. While I was in Sams Club I spotted on display Twin Mobile DVD players that can be strapped onto the back of your existing headrests. The price was $189.00 for 8 inch screens. I was able to strap the monitor around the headrest and tuck the wiring into the seat. You can either plug the power cord into the rear cigarette lighter or remove the back of the console and take power from behind the cigarette lighter. I hid all the wires and poped off the back of the console and tapped into the line behind the cigarette lighter. The nice thing about this installation is that each monitor has its own DVD player. When you sell the car you can easily remove the entire installation. The kit even comes with an AC power connection so you can remove it from the car and play it by plugging into any electric outlet. I bought separately headphones so the granchildren can watch their favorite DVD's without others in the car hearing it. Wow, it doesn't get any better. Especially the price and ease of installation. Plus you can easily remove it. That is sweet, and really nice for you to post. 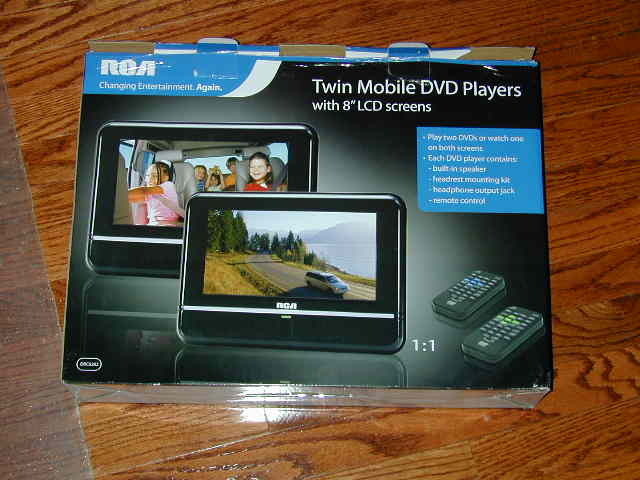 Very helpful, I just got a 09 CTS and I was trying to figure out what to do for DVD players. THANKS!!!!!!! Yeah, I did the same thing in my SRX. Nice post.